America’s Top 200 TV plan is the most popular DISH package. This amazing satellite TV plan offers 240+ channels, two year price guarantee, and a price of only $79.99 per month. The Top 200 package is loaded with TV’s best channels the price can’t be beat. Call 1-844-693-0284 today to ask how you can get FREE Premium Channels for 3-months! Featuring over $79.99 of your favorite channels, including Bravo, Disney XD, and NFL Network! America’s Top 200 features plenty of enticing programming for the sports lover in you—all at a price that fits your budget! Plus, get all of your favorite local channels (where available) at no additional cost! How many channels are in America's Top 200? The DISH America's Top 200 channel package has over 240 channels including Bravo, Disney, and the NFL Network. Get it today, just call (844) 693-0292. How much is the DISH Top 200 package? The America's Top 200 package is only $89.99/mo with a 2-Year Price Guarantee! This includes FREE Installation, FREE Activation and FREE Hopper Upgrade! Call (844) 693-0292 to get the Top 200 channel package today! 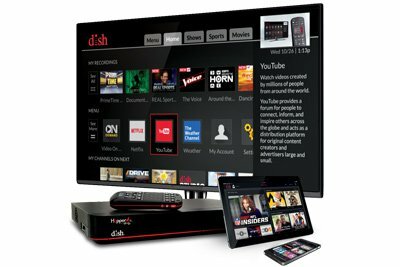 What channels are in the DISH Network Top 200 Package? There are over 240+ channels in the Top 200 including over 29 sports channels, 40 movie channels and more. You can download the Top 200 channel guide on dishpromotions.com for a complete list or call (844) 693-0292 today.